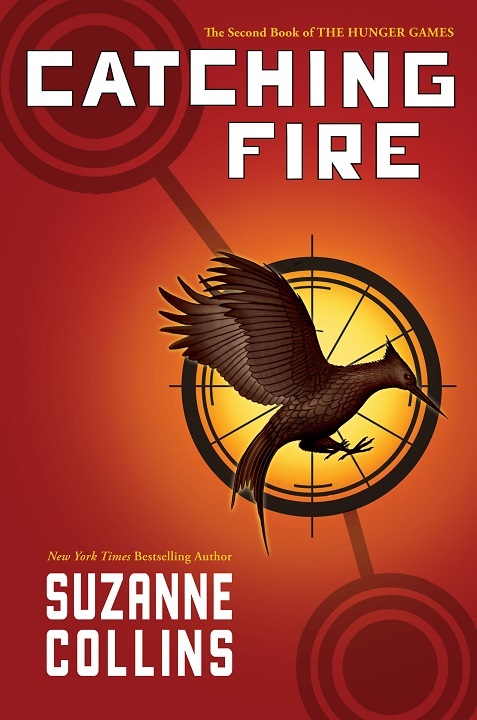 “Catching Fire” by Suzanne Collins- A Christian look at the book | J.W. Wartick -"Always Have a Reason"
The film version of Catching Fire is on the horizon (see my reflection on the movie), and as we approach the release, I thought it would be interesting to take a deeper look into the book. Here, I will consider some major themes in the work and their relation to Christian belief and practice. Check out some links at the end of the post for my other writings on the Hunger Games series. Be aware: there will be MAJOR SPOILERS in what follows. Katniss Everdeen often seems to be trying to operate under the moral system known a ‘pragmatism’–the notion that we should do what works. Sometimes, she may even border on egoism–the notion that self-interest drives what is morally right and wrong. Very often, in her first person narrative, she comments on doing things because she has “no choice” or simply because it seems to be what other people want in order for her to survive. One example is when President Snow comes to visit her in order to coerce her into attempting to help quell the rebellions which seem on the verge of breaking out across Panem, the world of The Hunger Games series. Snow himself senses this drive for self-preservation that Katniss has, and he masterfully uses it to manipulate her to his ends. However, Catching Fire does not leave Katniss alone. She is unable to consistently hold to the moral position that her inner dialogue seems to filter her choices through. In fact, her moral decisions, in practice, often reflect virtue types of ethical theories more than egoism. But she doesn’t always or even often seem to be aware of her own moral virtues. Suzanne Collins writes Katniss in such a way as to be a believable character: her moral choices are often messy. Katniss is confronted by the inconsistency in her own moral system–that of seeming self-preservation over all–when she is confronted by two women refugees who are fleeing from the violence in their colony (see pages 134-150). Katniss reacts initially in a way which begs for self-preservation, prepared to defend herself by killing. But then, when she discovers the reality of the situation, she actually feeds the women, listens to their story, and believes that there may be hope. The pragmatist would have turned the women in as traitors; Katniss feeds them and sends them on their way, but not before fashioning a new crutch for the one who is injured and teaching them briefly about how to survive in the wild. Her moral reality is much more complex than she herself realized. The Citizens of the Capitol have been drooling over him ever since [his victory]. The licentious people of the Capitol are confused. They value human beings as means for their own pleasure. Hence the absurd celebration and pomp and circumstance of the Hunger Games, which trivializes an event that is really the vicious killing of children. Moreover, they eagerly await a young man to get “old enough” for them to use his body for their own ends, paying him with gifts or secrets for the pleasure his body might give them. The book is not explicit in this regard; but the implication is there. In fact, it is the people of the Capitol who are the real egoists. They are self-obsessed to the point of egotism as opposed to mere egoism. Their moral code is that whatever satisfies them is right. Collins, in Catching Fire, gives us a long, hard look at ourselves. How easy would it be for us to fall into the same pattern of thinking as the people of the Capitol? The book is disturbing because of how close it is to home. Human trafficking is an increasing problem, even on our “home turf.” Yet people look the other way. Children are increasingly exploited, but again, only a few are crying out. Like the people of the Capitol, we are only concerned with ourselves. If something isn’t directly bothering us, we tend to ignore it. That’s an issue for someone else, after all. But the real twist is President Snow. He and his cronies are in charge of preserving the illusion. He is in charge of maintaining the false reality. And in Catching Fire, Katniss finally starts to truly realize the extent of this evil. It is one thing to confront the evils going on around her; it is entirely another to confront those who are determined to keep the system in place which perpetuates the evil. I am looking forward to “Catching Fire.” I am hopeful that it will, like “The Hunger Games,” preserve the raw emotion of the book and lead to a number of thought-provoking conversations. Catching Fire is a phenomenal work that ultimately confronts us with ourselves. It forces us to wonder: are we just as oblivious to the wrongs around us as the people in the Capitol? Christian Reflection on The Hunger Games Trilogy– I discuss the entire Hunger Games Trilogy, with a number of comments upon the themes and events found therein. The Hunger Games Movie: A Christian Perspective– I wrote about the movie, “The Hunger Games” and provided some insight into what Christians may take away as talking points from the film. Do you like The Hunger Games? Check out my evaluation of Ender’s Game both in movie and book form. Suzanne Collins, Catching Fire (New York: Scholastics, 2009). The image is the cover of the book and the property of Scholastic Press. « Really Recommended Posts 11/8/13- The Emerging Church, Bible translations, and atheism, oh my!